The book aims at providing a state-of-the-art overview and assessment of the status quo and future of the ODR field by the leading ODR scholars in the world. International, comparative, and interdisciplinary approaches have been utilized, and the book is divided into two main parts. In part one, in-depth assessment of ODR, its applications, and future is provided in a comparative and analytical context, and part two provides a regional oriented approach, where the prospects, challenges, and success of ODR and its applications in the North America, Latin America, Africa, Australia, Europe, and Asia is mapped and fully addressed. 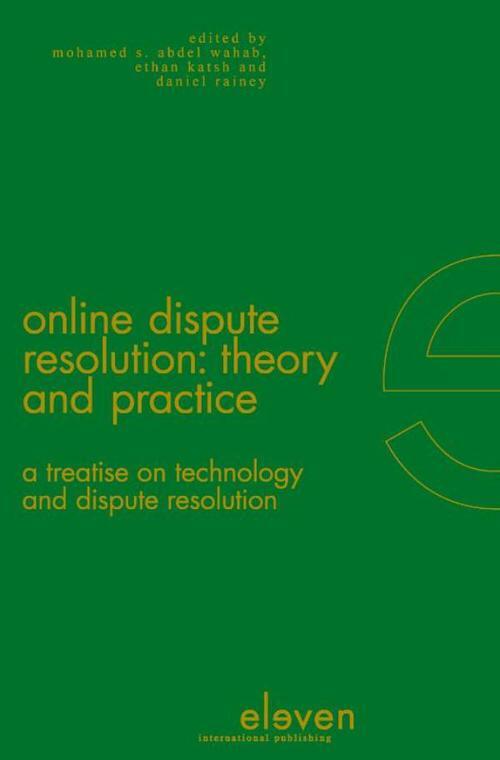 The book is a must read text by scholars, practitioners, academics, and researchers in the dispute resolution and information technology field.